looking for our new home. | escaped. looking for our new home. 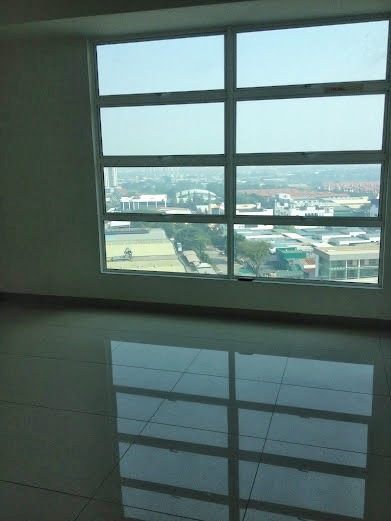 For quite sometime now, me and le fiancé have been scouring around KL to look for our potential new home. For all soon-to-be newlyweds looking for the same thing, the process ain't easy. One of the places we looked. One of the tasks we shared was to start looking on the net. I think this is the crucial part - because whoever you encounter on the net when it comes to property hunting, they WILL somehow become your real-estate agent. And once you start contacting them, at least a handful of them will come back to you with suggestions and options - and good part of it is, some of them are really good at their job and are really aggressive at getting you to buy their suggestions. We contacted several of them, and got some callbacks - and thankfully some of the choices are really good, like this one (above picture). Once we have some call backs and narrowing down our choices, we get to start going to look at the places. Apartments, condos, 2-storey houses - the real-estate agents WILL come back to you and give you suggestions based on your preferences e.g if you want your potential new home to be in Puchong area and near to public transport, they will give some suggestions accordingly; but you'd also have to specify your price range. I think this is the challenging part - one place we looked is perfectly in our price range (we can even shed some 100 bucks off our budget every month!) but it comes with.. a below average toilet. I was happy (especially when I saw an extra small room perfect for a wardrobe) until I saw the broken toilet seat and dirty pipes, I wanted to cry. We asked if the owner could do some fixing and renovations for the price we're paying, but the agent seems to think it will not suit our schedule so we decided that we're better off looking for a new place where we don't have to do anymore fixing. When you go look at the options, some of the key things you'd have to pay attention to are the community it belongs to, the facilities, the access. We had to scratch some off our list because of the inaccessibility from our main route to work - it turns out that depending on Google Maps alone isn't enough -___-"
The facilities, because I have to go to gym. Hahaa. So far, we still have a few choices we haven't officially seen so there's no decision yet. Though I can tell that he's scratching "gym, one extra room for clothes" specifications off our list now. It's a tiring process but I think we kind of enjoy it; except the part when I almost cried looking at the toilet. It reminds me of the new life we're about to embark; that somehow it all becomes real to me now. Will update more when we're done with Step #3.